Those words, that phrase, is all it takes to bring back feelings of doubt, sadness, and fear, madness, and patriotism. We often forget that there are those who are around us, in our schools, in our workplace, and just in general everyday contact who were not quite old enough to understand, or to remember what September 11th was all about. Through no fault of their own they are now remembering (or not as it were) the tragic events of 9/11/01. I was in college at the time, and I remember walking out the door of my apartment, looking into the sky and wondering what was next. 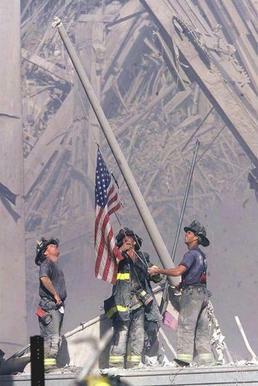 This is to remind those who weren’t old enough at the time what September 11th is all about. Not just WHAT it was, but REALLY what it was about. Never forget that there were thousands of people who got on a plane, went to work that day, or were in the wrong place at the wrong time, that didn’t come home. Thousands of parents, kids, brothers, sisters, grandparents, uncles, aunts, cousins, friends, and neighbors that left and they never came back. Never forget who did this to us. Never forget that they still want to do this to us, again. They are trying, and will keep trying. 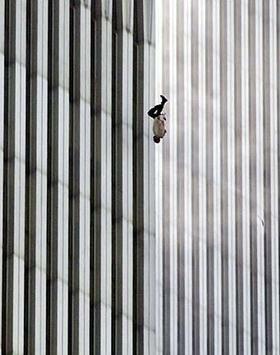 Never forget that they were people to conjured up a plan, to weigh their options, who looked around a horrific situation, and decide the jumping out of a building was better than burning alive. Never forget the videos, many many videos of those people jumping out of windows. The news reports are endless of the broadcasters talking about the tragedies, while in the background there are sounds of the people hitting the ground. Never forget the mounds and mounds of endless amount of rubble, and ash, and fire, and body parts that littered the streets of New York, The Pentagon, and the fields of Pennsylvania. The rubble, the smoke, it went on for weeks and months after the attack. The photos, the video, the reports from everyday citizens of what they saw what they heard and what they felt. Never forget those. Never forget the heroes. Both uniformed and unnoticed. The everyday people who gave their lives to save someone else. Never forget all the first responders who went into a burning building knowing that they may not come out but not realizing the enormity of what they were walking into. Never forget those people. The last phone call, the last text messages, the last answering machine messages, the last goodbye.. the last. Never forget those that made the move when “Let’s Roll” was put into action. Never, ever, forget. If you don’t remember, take the time to listen, and look, and learn. Take the time to look around and see what others find important in this day. What they remember, where they where, and what impact that day had on them, and us, and you.